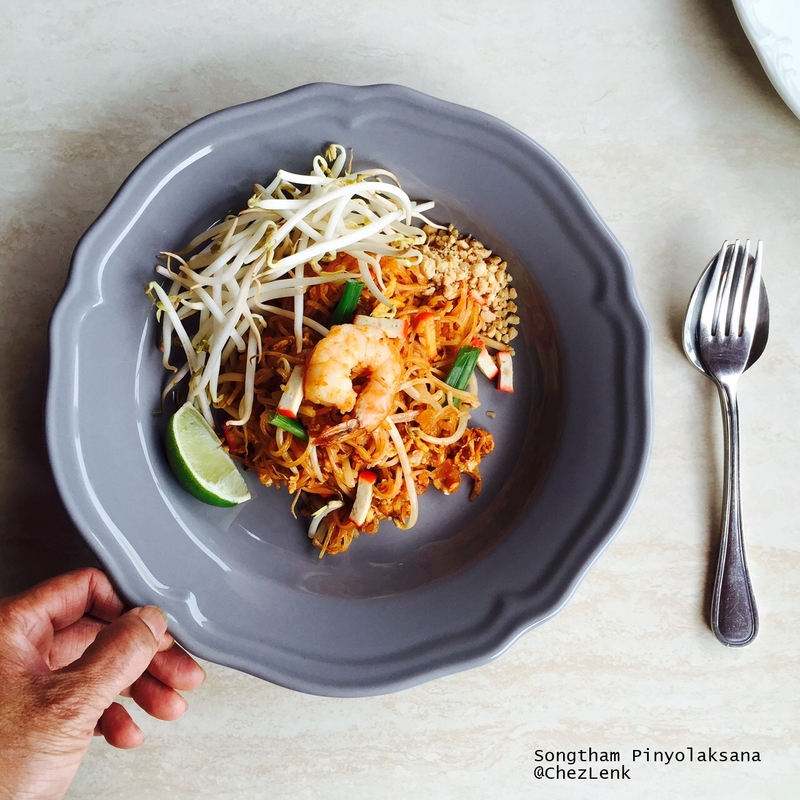 Cooking delicious thai food can be made as easy as 123. Eating good food can be done as fast as the blink of an eye. Enjoy both cooking and eating. This is my take on pad thai recipe. What I put here is my preferences. The recipe call for either fresh or dried noodle. In this recipe, I preferably use fresh rice noodle over the dried one. I wanted the end result fresh and chewy noodle. Nothing right, nothing wrong, it's all about our personal preference. If you could find the fresh pho noodle, use it. The fresh pho noodle is best for pad thai. You pay a little more, but it will paid off in the end. We will pre-made the sauce before hand. Pre-made sauce will make cooking pad thai easy and delicious. I hope you enjoy the taste of pad thai made with this recipe. 7 TSP Fish Sauce (squid brand). 1 tsp Preserved sweet radish coarsely chopped. 2-3 stems Chive, cut into 1 inch. 1. Sauce : Put Tamarind juice, sugar, fish sauce in a bowl, mix until sugar dissolved. 2. Put stir fry pan on high heat, add oil, put shallot, stir until lightly cooked. 3. Add egg, cook half way, add shrimp, cook half way. 4. Add noodle, then add water, a few TSP at a time, cook until noodle soft. 5. Add red tofu, preserved sweet radish, bean sprout, chive, crust peanut stir mix together. Turn off the heat. 1. Use fish sauce that made in Thailand. Squid fish sauce is recommended. 2. When cooking Thai food, the measurement of ingredients are vary. 3. Consult Thai friends for help on cooking and ingredients. Pad Thai, Pad Thai everywhere...Why Pad Thai?